Look good and feel cool! 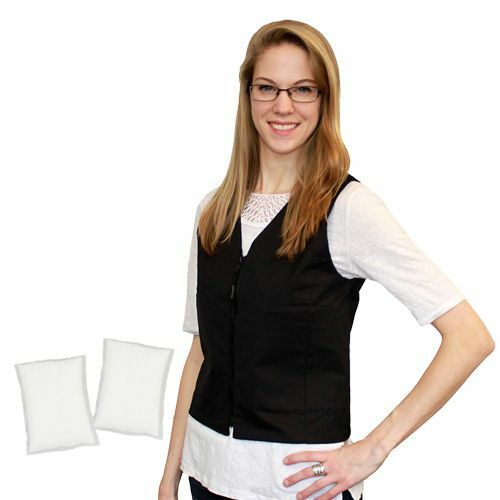 Fitted and fashionable vests have discreet pockets sewn within. 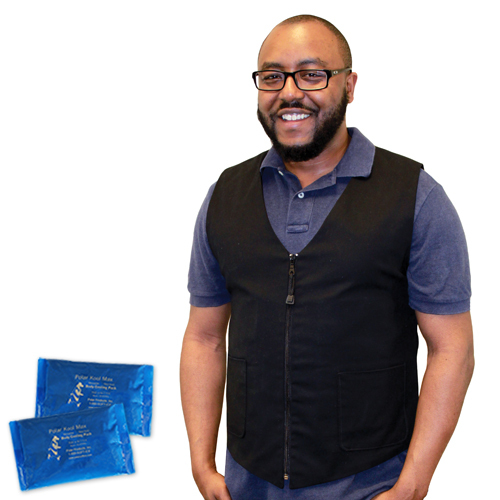 Smaller packs (approximately 4.5" x 6" each) and patent pending spinal pocket placement minimizes weight and maximizes cooling effectiveness! Kool Max® Frozen Water-Based Cooling Packs require access to a freezer and offer the highest level of cooling energy for up to 3-4 hours. (It's science! 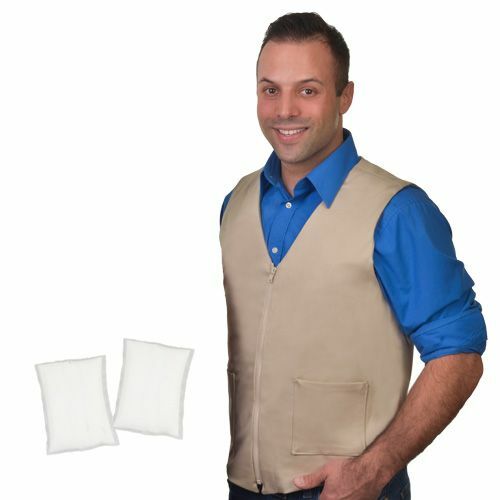 It takes more energy to charge these packs in a freezer and in return, the packs offer greater cooling energy for a longer time.) These packs are each 4.5" x 6". Cool 58® Phase Change Cooling Packs freeze at 58ºF (14.4° C) and provide a comfortable, constant cooling temperature of 58ºF for up to 1.5-3 hours. Ideal choice when freezers are not available: these packs can be recharged in a cooler of ice water in just 15 to 20 minutes! These packs are each 4.5" x 6".